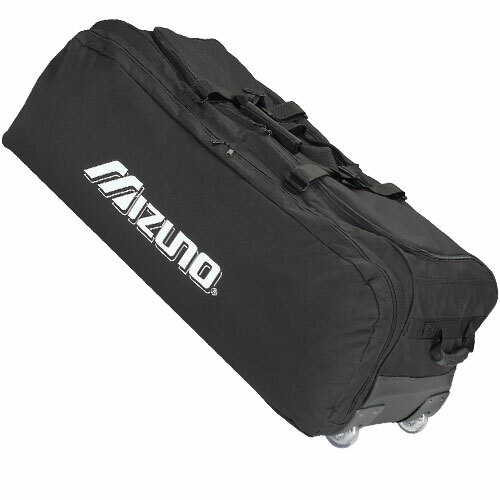 The perfect gear bag for storing and transporting all of your baseball gear. Features a 600 denier polyester shell, durable inline wheels, adjustable carry straps, zip off pocket for easy embroidery, extendable pull handle, heavy-duty zippers and side storage compartment for 3 bats. Measures 36"L X 15"W X 15" H. Black only.